Born and raised in Chenango County and a graduate of Sherburne-Earlville High School, Alexandra spent four years studying at Queen's University in Kingston, Ontario where she received her Bachelor of Arts degree with honors. After several years working for her alma mater, Alex returned home to central NY in 2012 to partner with her father in the financial services industry. 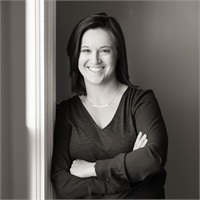 Since joining the business she has continued to serve their client base while working to grow their practice to help more families and businesses. Alex moved to the village of Hamilton in 2014, and is proud to call it home. She is an active member of both the Chenango County and Hamilton communities. Alex currently serves as the Vice Chairperson for the Development Chenango Corporation and is on the Board of Directors for Hospice & Palliative Care of Chenango County.